Well here it is, our first blog post. I find it appropriate to call it our introductory blog post and I would start the introduction by introducing myself. The name is Adejoro Anthony and I would be the first content developer for this blog. Motoring Nigeria was launched on the 24th of September 2014 amidst great fanfare, people who were present at the launching event would attest it was a great event with loads of supporters, five people to be precise, namely Christopher, mankind, John, faful, and an online supporter Foluso, who had completely no idea of what I was doing at that time but they just knew I was up to something. 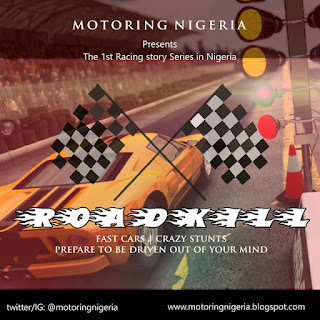 This ultimately brings us to the important question, what is Motoring Nigeria? Motoring Nigeria, well obviously as the name implies is a Nigerian brand whose aim, simply put is to enhance and promote the car culture of the Nigerian people. This has been deemed necessary in the face of the automotive revolution along with its huge potentials which is about to bring down the rusted and dilapidated gates of the underdeveloped Nigerian automotive sector. We aim to develop various non-existent sub-sectors of our automotive sector opening up new frontiers. We are not planning to take any path cleared by anybody but rather create a path and leave a trail for others to follow. There is a particular species of primates that would generate immediate interest upon coming across Motoring Nigeria, this set of people are called Petrol Heads, they are also referred to as car freaks, motoring enthusiasts and in other climes, they are referred to as autophiles(please do not in any way attempt to rhyme this word with "paedophiles"). And now that you have disobeyed and done just what you were told not to do, I find it imperative to inform you that autophiles do not in anyway do "it" with cars, thank you. Although we are going to generate lots of initial interest in the car community, our aim is to generate huge interest in us by all Nigerians, from the primary 1 pupil who stares at his father's foot whenever he is being driven to school, wondering when he is going to learn how to drive to the 90 year old grandmother who smiles whenever she remembers the good old days when she could drive. People across all walks would of life know and love Motoring Nigeria. This we are going to achieve through adequate content on our blog, various social media and through a line up of various events planned out for you. The journey of a thousand miles starts with the crank of a V6 engine(no, a 4 cylinder would overheat on a journey that long), we have a long way to go, there are lots of things to be done, lots of challenges to surmount, we have started the journey and we know we will be a success because we have a plan, we have God behind us and we have your support(at least, we would like to think we do) God bless our friends and supporters, God bless Motoring Nigeria.